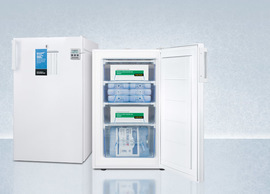 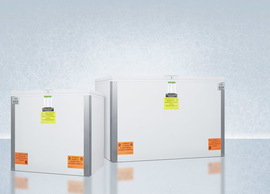 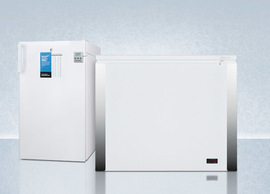 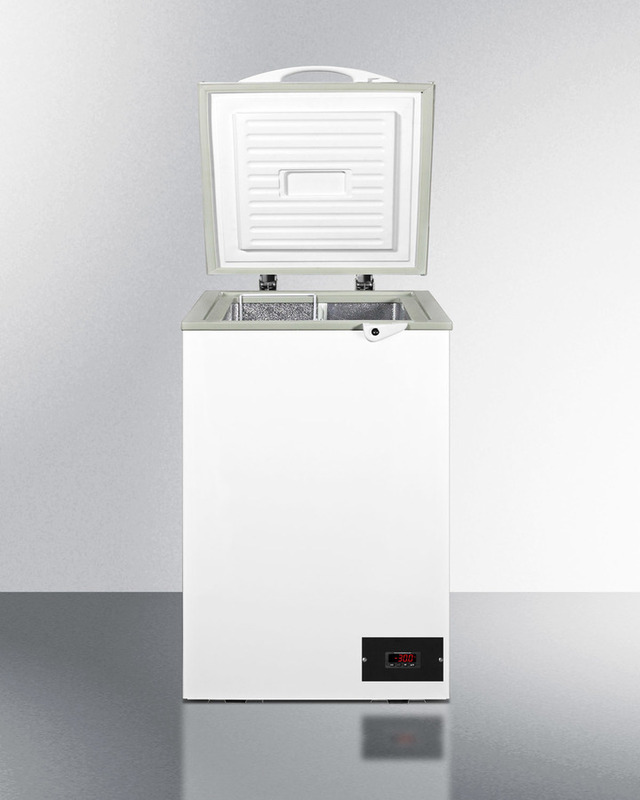 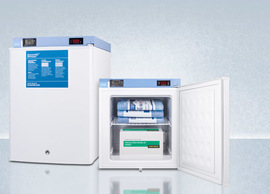 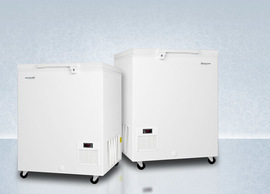 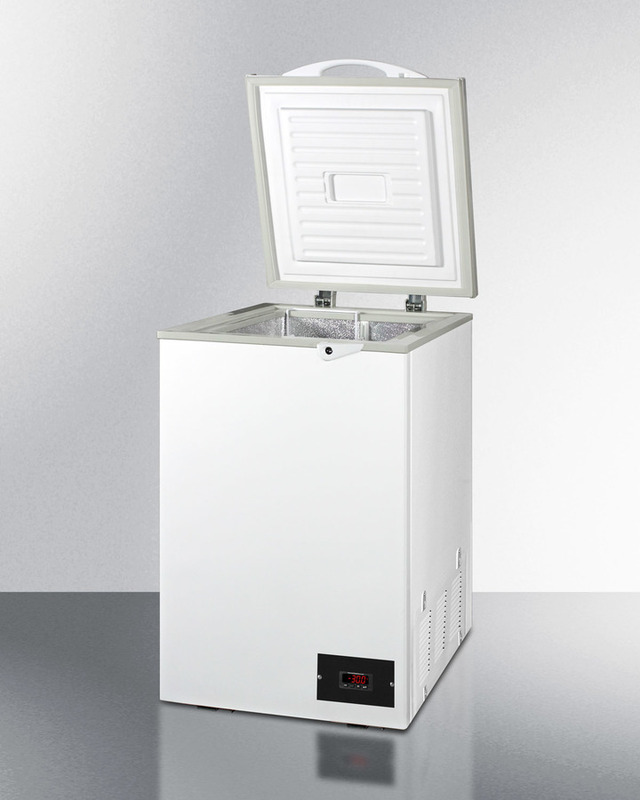 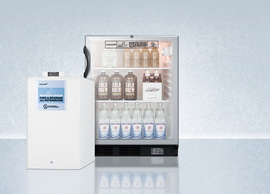 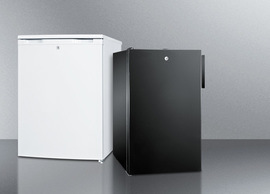 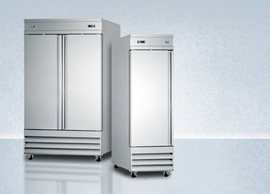 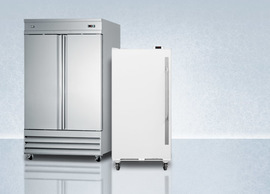 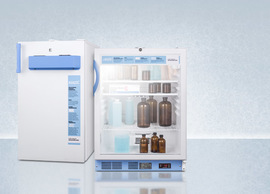 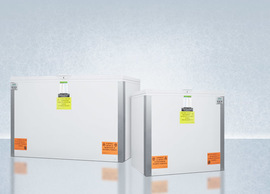 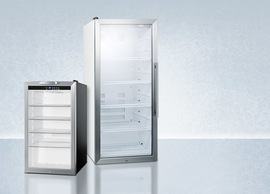 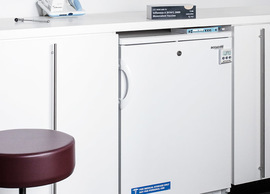 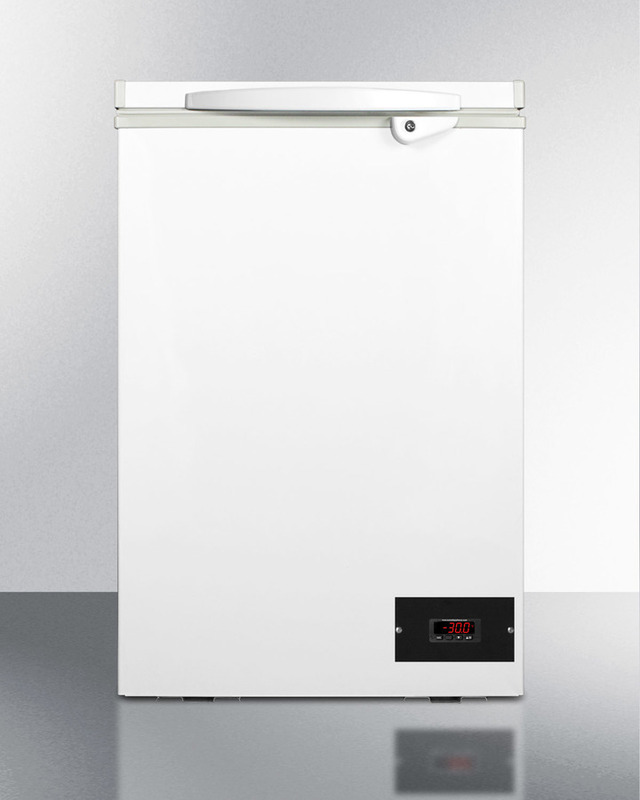 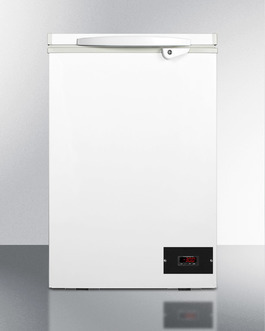 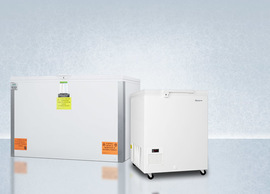 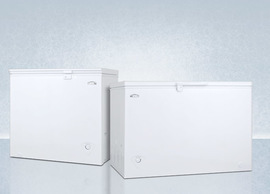 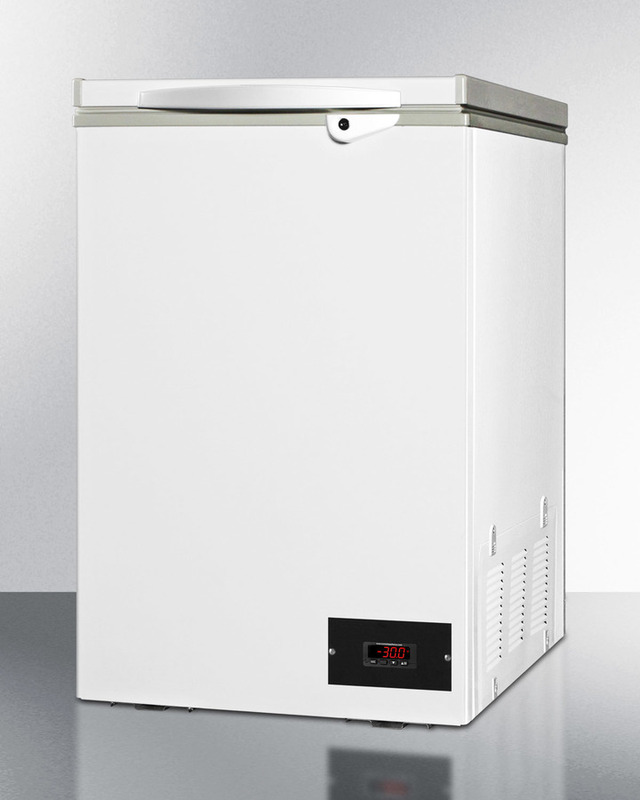 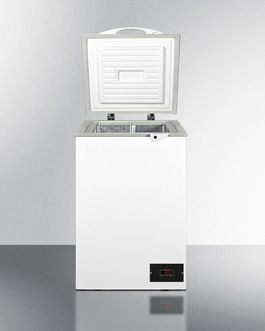 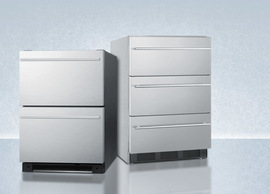 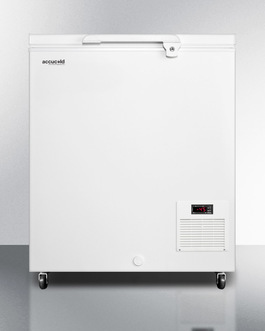 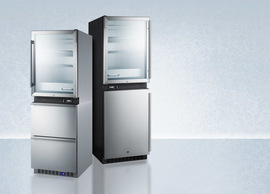 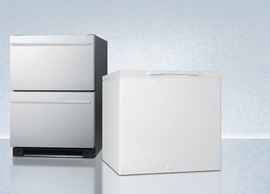 SUMMIT FCL44 is a chest freezer for medical and scientific facilities, with an energy efficient operating system and low temperature capability. 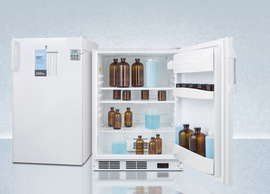 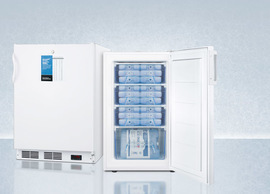 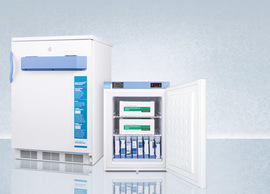 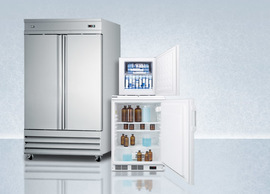 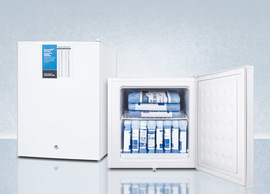 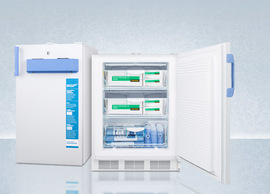 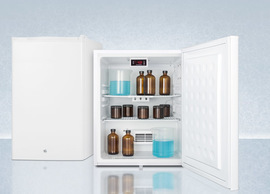 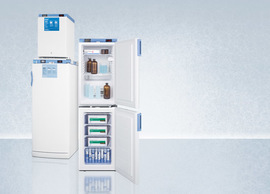 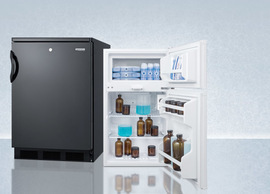 The FCL44 operates at -30º C, the ideal temperature for storing vaccines for chicken pox and FLU MIST. 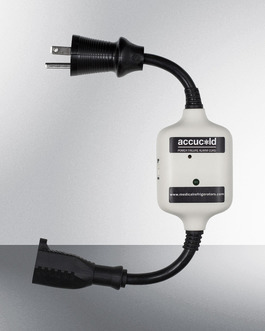 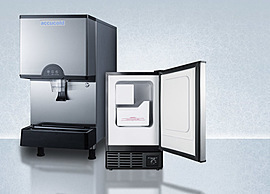 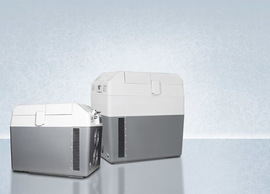 Using a proprietary ICI Vac-Pac system, the FCL44 consumes less energy than competing models of its type. 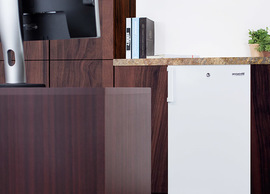 Counter-balanced hinges add to the safety of the exterior. 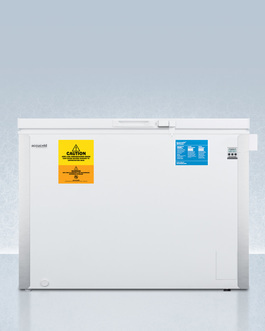 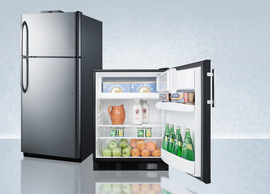 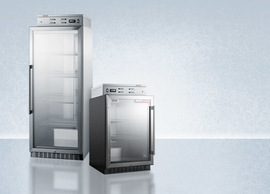 Manual defrost ensures that vaccines, pharmaceuticals, or even frozen foods remain stable under the ideal storage conditions. 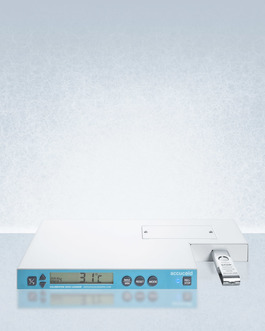 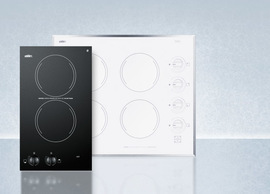 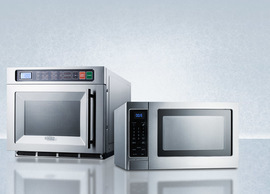 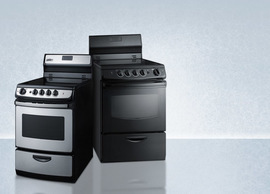 A digital thermostat allows for precise temperature management.